In Fall of 2013, I met with the Head of Products at Syncplicity, an enterprise software startup that had been acquired the previous year by EMC, and he outlined the bold plan for positioning Syncplicity as a market leader in the competitive Enterprise File Synchronization and Sharing market in the coming year. The vision was to transform the Syncplicity platform into a beautiful, engaging, easy to use set of tools that were as well designed as popular consumer apps, but were powered by enterprise-level reliability, security and productivity features. 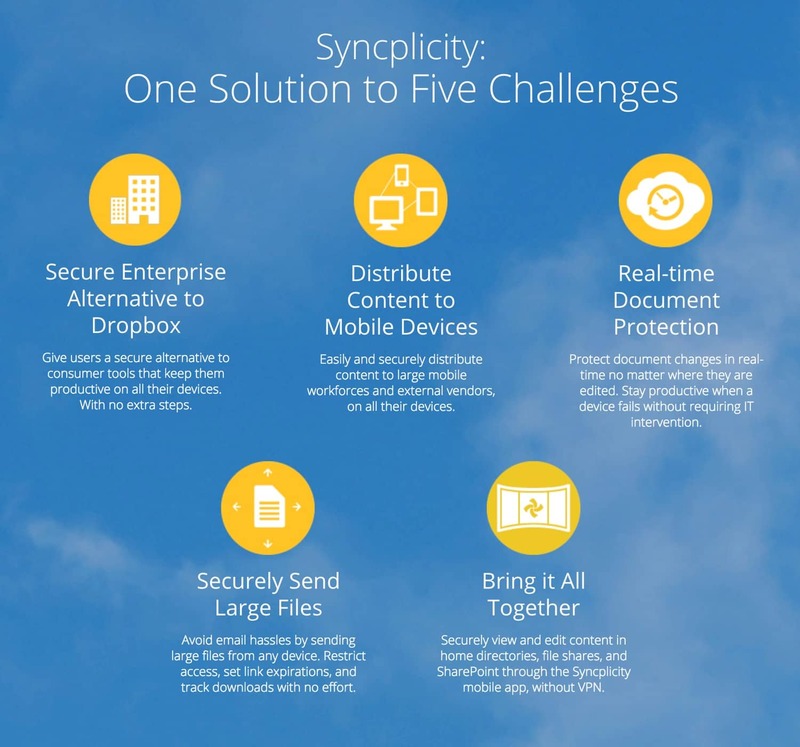 In short, make Syncplicity a tool that employees were happy to use, and that large companies wouldn't hesitate to purchase as a secure alternative to Dropbox that met all legal, compliance, and technical needs required by enterprises. To realize this vision, he had assembled a crack team of Product Managers already, and was looking to build a world-class design team to match. In the interim, he had brought together 3 design agencies to partner with the sole in-house designer to get the large-scale project started. Having worked with him and several of his Product Managers previously at YouSendIt, and being familiar with the work delivered by the other design agencies, I was excited to have Studio Astrid join the team in taking on this challenge. Syncplicity's existing design was in desperate need of a redesign, however, the particular challenge we faced was the extent of what needed to be redesigned in order to achieve UX/Brand consistency. 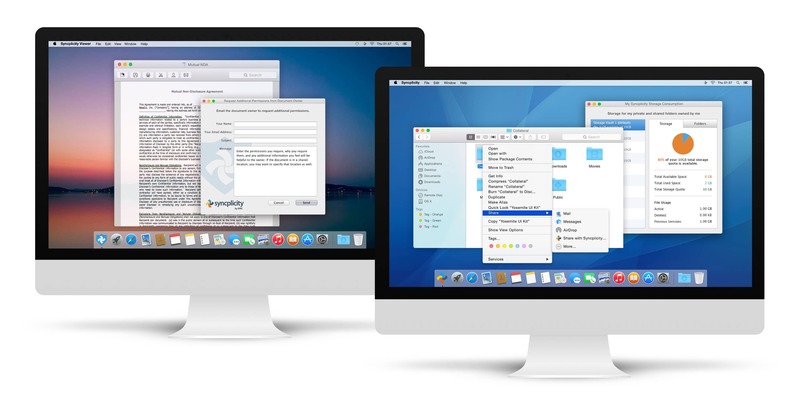 At the time, Syncplicity consisted of non-responsive web app, native Mac and Windows desktop apps, iOs and Android mobile phone apps, as well as a host of 3rd party software plug-ins; additional tablet solutions, to be designed and built from scratch, were also in the pipeline. And when we considered the complex security and compliance features needing to be designed and launched across all platforms and devices concurrent with the redesign, the task before us became more than a little daunting. In order to take on current market leaders (Box, Citrix, Accellion), Syncplicity would need to ramp up its already robust security and technical capabilities, in addition to undergoing a massive redesign/rebranding. Taking a phased approach would be key: business-critical features would be delivered via the current UX, while at the same time being designed to align with the new game-changing UX for later release. Given the broad range of platforms and devices to account for, the team needed to work in close concert to ensure that individual efforts were aligned with global priorities. 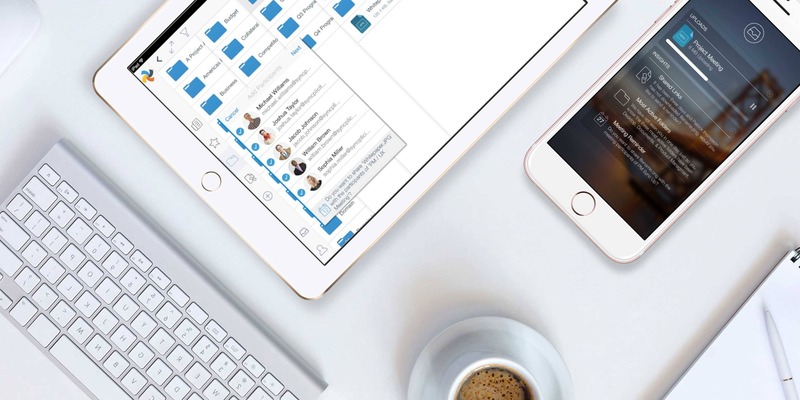 Y Media Labs was the first agency that had joined on, and they had already started working on the dramatic redesign of Syncplicity's iPhone and iPad apps. 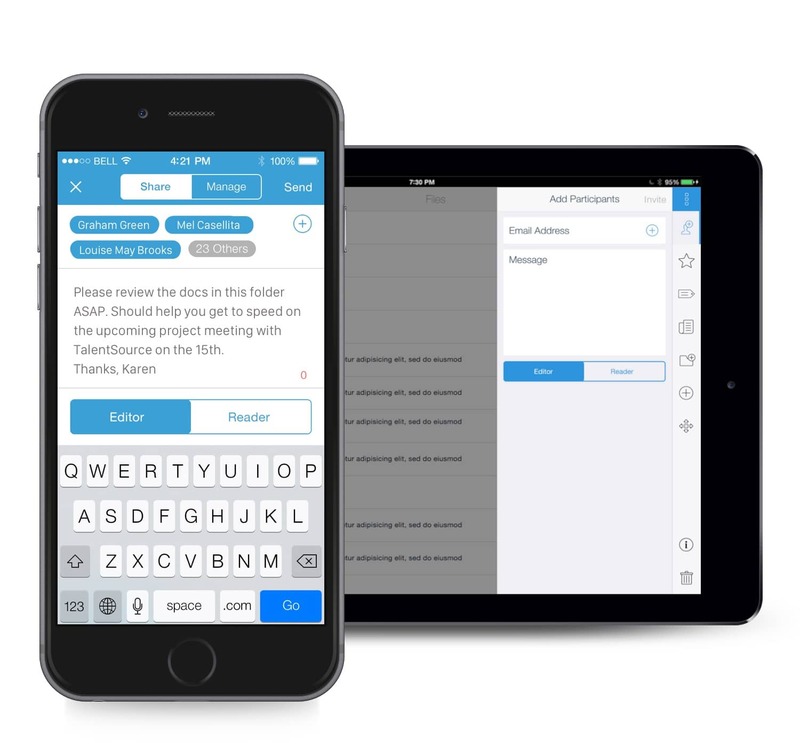 Not yet released to customers, iterative design comps and functional prototypes of the new design served as reference for concurrent design of new functionality into the mobile experience, as well as the model for a new, transformative Syncplicity platform experience that the Design and Product teams were working together to achieve. In order to tackle this challenge, we worked in a series of Design Sprints, working on multiple new features concurrently and being flexible so as to support the rest of the design team when resource bandwidth was low. At times, we provided Visual Design and UX Design both, while at other times, we focused on UX Design alone, ensuring a seamless handoff to a Visual Designer. More often than not, especially given the particularly knotty security features we were working to simplify, we partnered with Product Management to clarify business requirements and rules, define key use cases, alternate scenarios and edge cases, and visualize complex work flows. 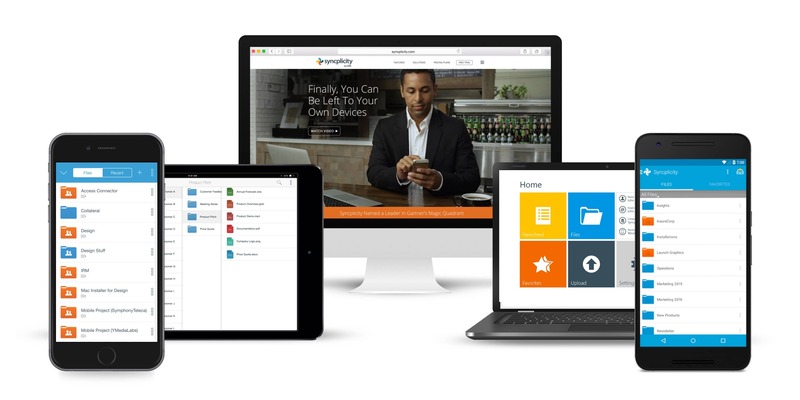 Furthermore, some features we designed globally ourselves - for all Syncplicity platforms and devices - while others were split amongst the entire Design team. 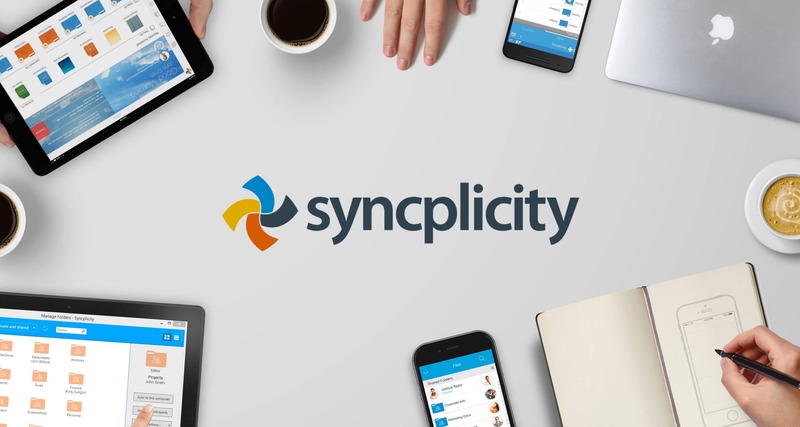 Critical to Syncplicity's success were the constant communication, review, and revision amongst the team of Designers and Product Managers, as well as the latitude allowed us to work as an agile startup within a larger corporate enterprise. 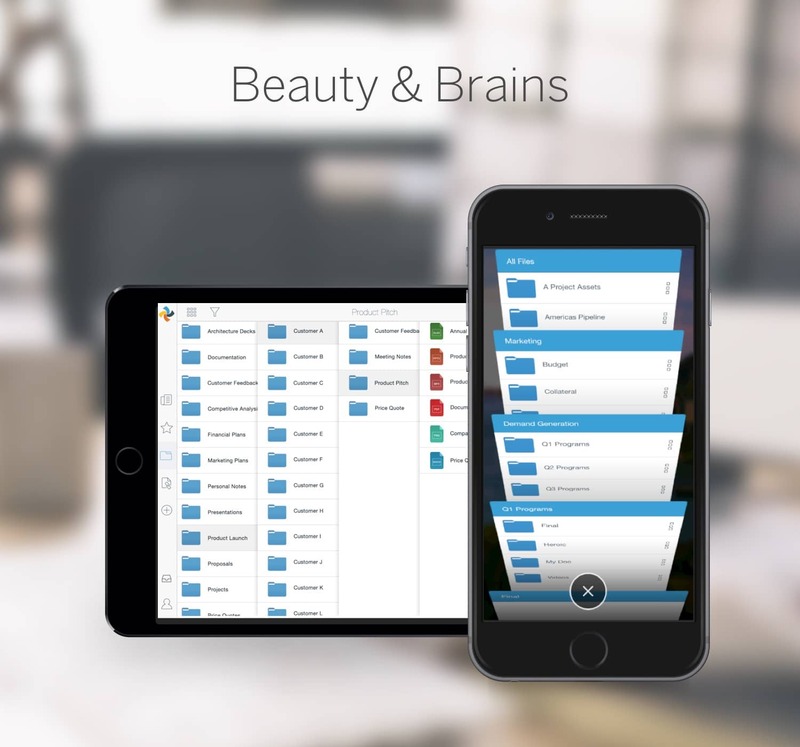 With the team working without ego and in close collaboration towards a common goal, we were able to ensure that our disparate product design efforts were always aligned into a single cohesive, unified experience. 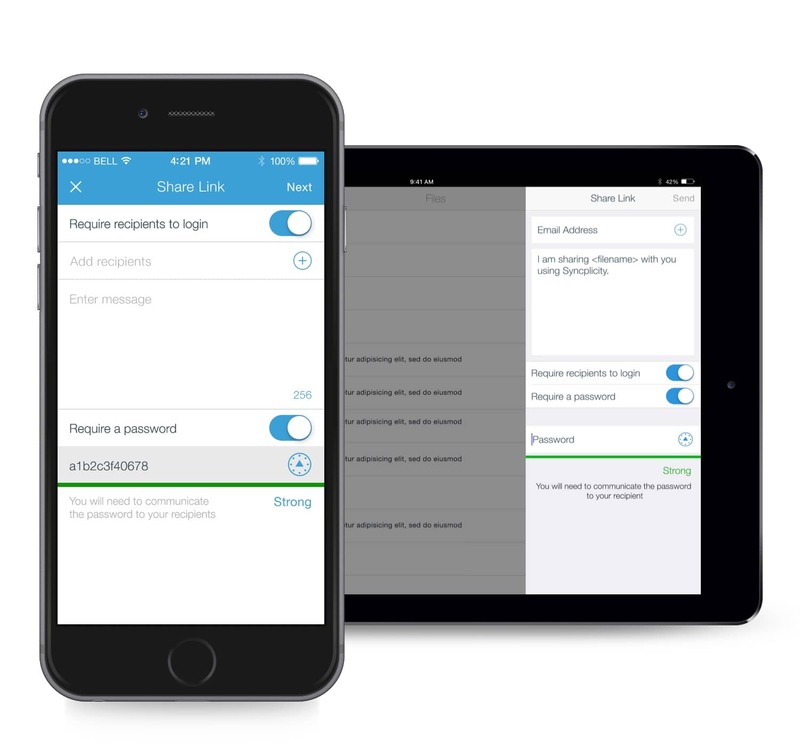 We contributed primarily UX Design and Strategy, focusing on design of complex security and legal/compliance features, as well as explorations on phased approaches to implementing the new mobile design to other platforms. 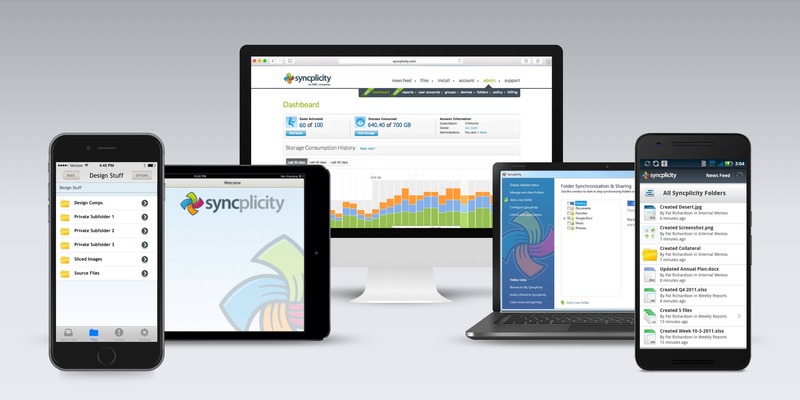 With Syncplicity Product, Sales, and Marketing working in close collaboration to prepare for its release, the redesigned iOs apps were launched to great acclaim in 2014, winning an "Appy" award for Enterprise Productivity Software, earning 4.5 stars on the App Store, and named a Leader in Gartner's first Magic Quadrant for Enterprise File Synchronization and Sharing. 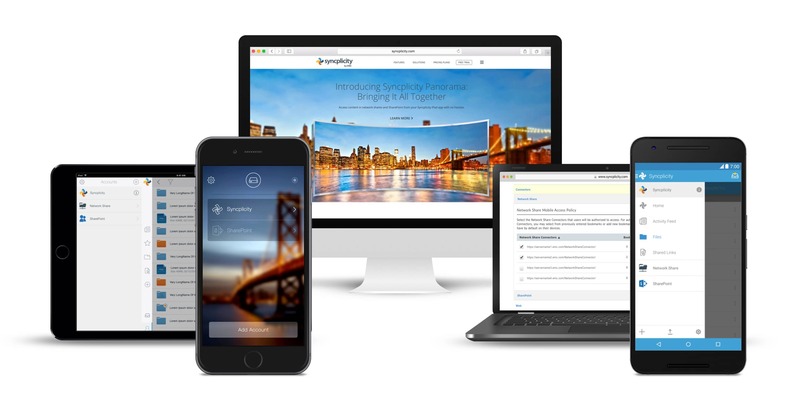 From 2014 through 2015, Syncplicity continued releasing to all platforms, dramatically extending its product breadth and depth and continuing to differentiate via the quality of its user experience and secure hybrid cloud architecture. 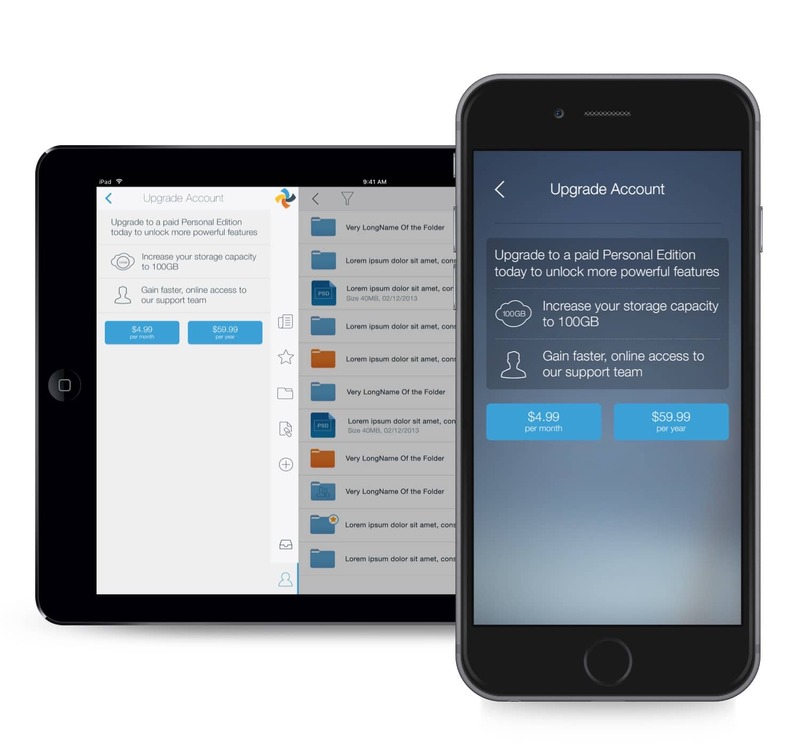 As a result, Syncplicity gained further recognition from Gartner, Forrester, Aragon, and Ovum as a leader in the competitive and fast-paced enterprise file sync & share market (EFSS). 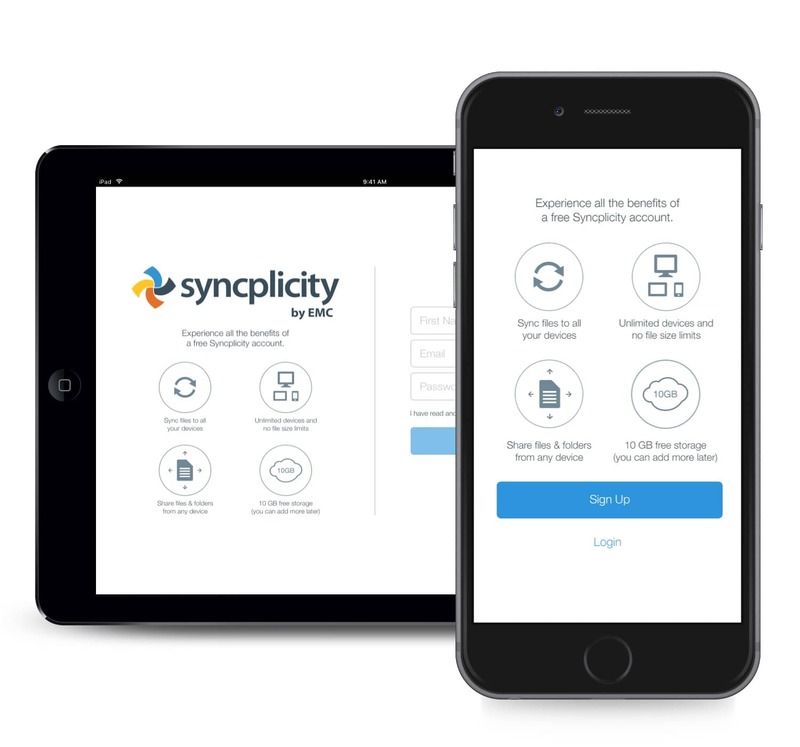 "...give the company’s (EMC's) Syncplicity title a spin and tell me it’s not one of the slickest, most well-designed, intuitive and beautiful apps you’ve seen."